Fifty years ago in a garage in Cambridge, England, an iconic product was created — the Cambridge Audio P40 amplifier. Notable for being the first to use a toroidal transformer, its real claim to fame is how it introduced the true British sound to homes everywhere in the ‘60s, and heralded the arrival of equipment that would make the firm a success. Today, in the R&D department at Cambridge Audio’s London office, in preparation for the firm’s 50th anniversary, one of the last few remaining P40s is being returned to its former glory by one of the dedicated engineers. Serious, hefty pieces of home audio equipment with a thoroughly modern look. While Cambridge Audio is looking back with nostalgic eyes for that project, it’s looking towards the future with a new series of products called Edge. Consisting of an amp, a pre-amp, and an integrated model, the Edge series is unlike any Cambridge Audio line before it, bringing a stunning new design, cutting-edge technology and innovation, and a money’s-no-object approach to the sound quality. 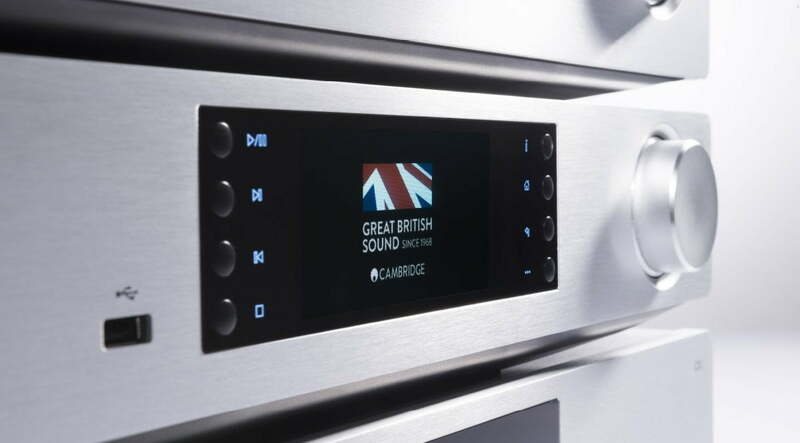 At the end of 2017, Digital Trends sat down with the Cambridge Audio team to understand more about what Edge means, how the new models fit in with the company’s dedication to spreading the British sound, and most importantly, how they sound. Named after Gordon Edge, one of the Cambridge Audio co-founders, the Edge range looks unlike anything Cambridge has made before, breaking away from the traditional audio-separate style, and creating a unique new design language. 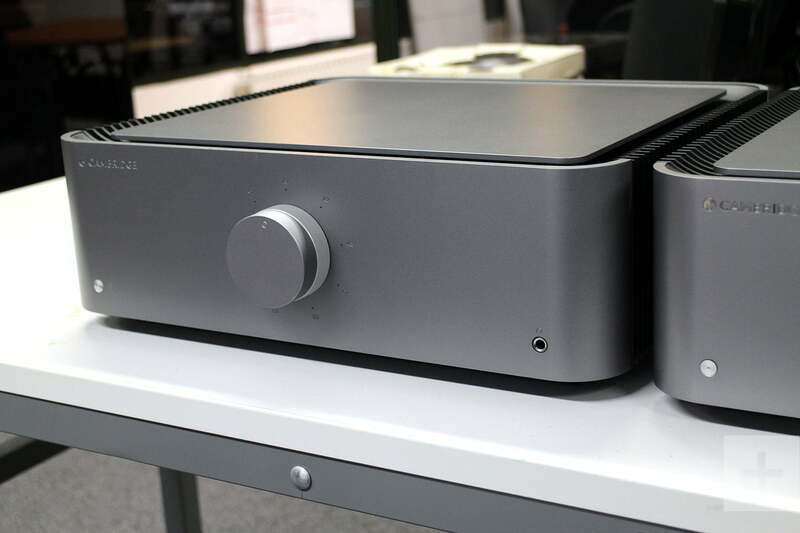 The range is made up of three components — The Edge W power amplifier, the Edge NQ pre-amplifier with StreamMagic, and the Edge A integrated amplifier. These are serious, hefty pieces of home audio equipment with a thoroughly modern look, from the matt-finish brushed metal body and the black fins down the side, to the minimalist front panels. You’ll want them out on display, but you’ll need a big shelf for that. One particular aspect of the Edge W power amp perfectly demonstrates what Cambridge Audio wants to achieve with the Edge line. There are just 14 components from signal input to output, where in many similar products, there are usually between 30 and 50. Each component has an effect on the sound, of course, and Cambridge Audio claims the fewer there are the closer to the original sound of the recording the end result will be. This is key for the team, getting a pure sound (“nothing added, nothing taken away” was the oft-repeated mantra we heard) that’s as close to what was created in the studio, and it took considerable work to practically halve the number of components in-line. Creating Edge was a long and expensive three-year road, Managing Director Stuart George told Digital Trends, adding that it didn’t have an initial number of in-line components in mind for the Edge W, and that the limit came about because the engineers were given the brief to design, “the best product you’ve ever done, cost-no-object.” It puts out 100 watts at 8 ohms, 200 at 4 ohms, and will almost hit 400 watts at 2 ohms. This means it’ll happily drive most speakers, and an early private test had them amp powering B&W 800 Series speakers. “The speakers liked the amp,” George added. Inside the Edge NQ, a new, faster chipset powers the StreamMagic module, along with a redesigned app. For Edge, and other 2018 products to come from Cambridge Audio, StreamMagic will support Chromecast Audio, Airplay, Spotify Connect, Bluetooth AptX HD and plenty more. 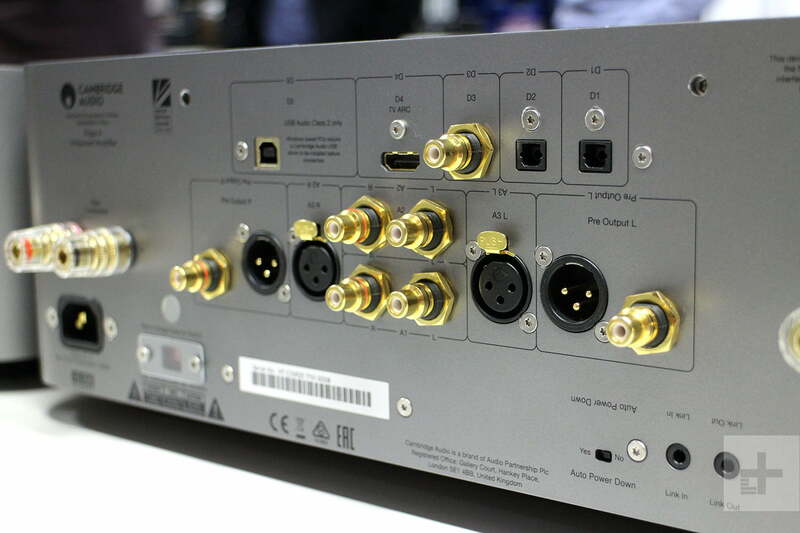 StreamMagic is Cambridge Audio’s own streaming service platform design, rather than an off-the-shelf system, allowing the team to manage and tweak the sound. The Edge A combines all the power of the Edge W with the Edge NQ’s StreamMagic range of connections, making it perfect for those short on space. 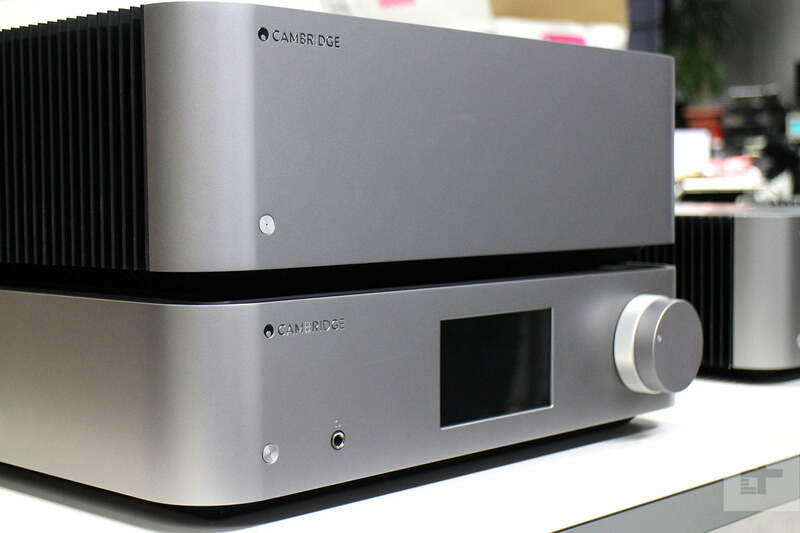 While not as instantly affordable as many previous Cambridge Audio products, the Edge series offers a lot of value, and in the limitless world of high-end audio, the final price of between $3,000 and $4,000 per component is reasonable considering what’s offered. Edge is Cambridge Audio showing off, and giving its engineers a chance to have some fun with fewer budget constraints than usual. 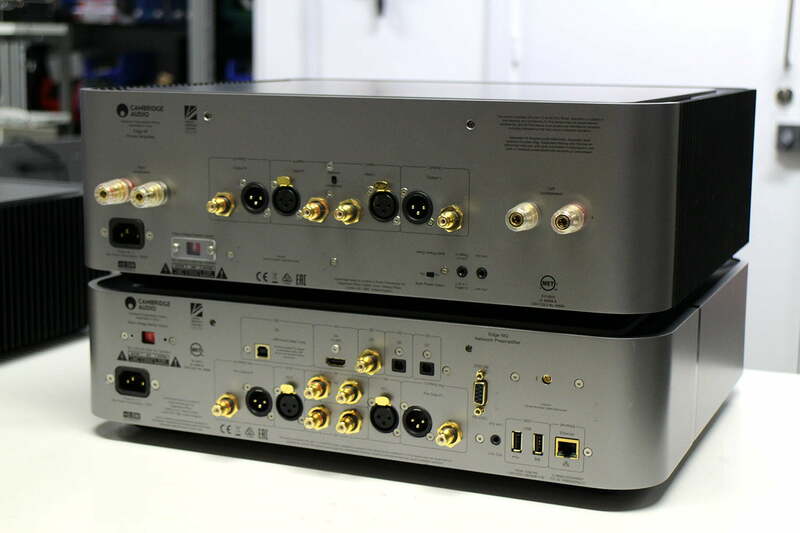 Regardless of value, an Edge system will still be a significant investment, so why would you choose Cambridge Audio? To hear the British sound, of course. No, not a Cockney saying “Awight mate,” in an irritatingly upbeat manner, but that distinctive musical sound which has been associated with everyone from the Beatles to the BBC for decades. An amalgamation of British bands, studios, and techniques used by producers; audiophiles all over the world search for the British sound, and brands even try to emulate it. 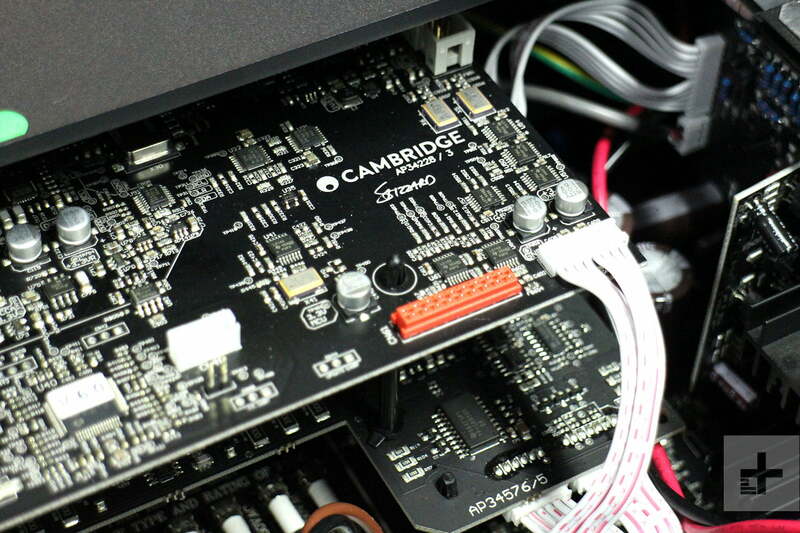 For Cambridge Audio, it has driven the sound of its products from the very beginning. Edge is about the music as a whole. The genesis for the British sound came from the BBC, when it set a clear standard as it broadcast to the world in the ‘50s and ‘60s, with many speakers at the time manufactured to meet those standards. But it’s not just that. When the British sound was being formed, bands were sometimes emulating American recordings while searching for their own sound, generating a strong guitar-forward style, while studio engineers — often influenced by a background with the BBC — were innovating behind the scenes with bold studio-production techniques. A true product of its time, and driven by the creativity of musicians and engineers alike, It evolved into an accurate sound people love. “When you hear it, you hear something special,” George said. The door to Cambridge Audio’s listening room closed behind us, and a close-to-final Edge W and Edge NQ sat between a pair of new Edge speakers. These prototypes were still being fine-tuned, to the point where the crossovers were outside the cabinet, attached to wires running through the ports. A work-in-progress, and evidence of all the tuning being done in-house. The question was, would they sound like prototypes? We listened to a small selection of tracks, each one sounding progressively better, ending with CloZee’s Inner Peace. We started off listening for the British sound, trying to pinpoint that elusive something. 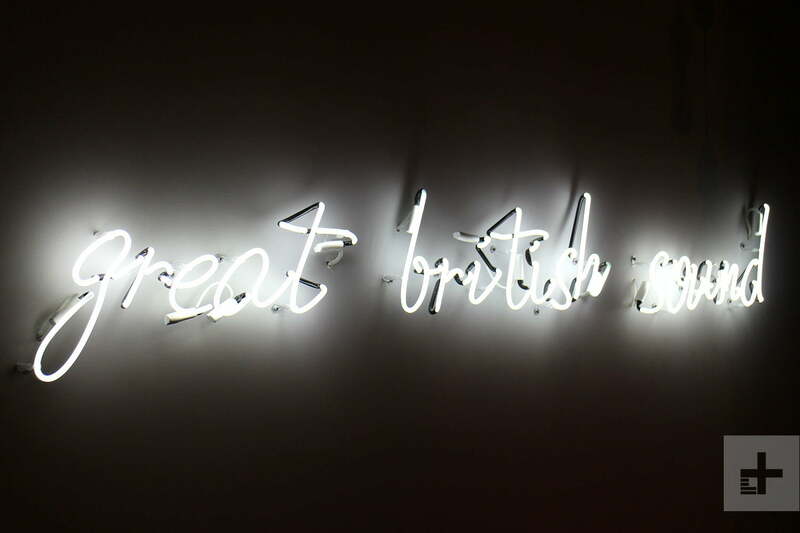 Very soon any lofty ambitions of identifying the Britishness were lost. What a joy the Edge system is. The mid-range is all-powerful, yet never out-gunned by the still strong bass-line thump, while the treble startles with its accuracy. The Edge doesn’t emphasize or favor one aspect in its sound. Edge is about the music as a whole, and the system created a commanding presence. Putting the essence of the British sound into words was a challenge. After leaving Cambridge Audio’s offices in London, it struck us that in that listening room we had actually heard the British sound without realizing it. Edge just sounded right. There was no need to change anything. It’s no wonder putting the essence of the British sound into words was a challenge — you have to hear it. Fifty years ago, the P40 set the bar for Cambridge Audio’s commitment to sound quality and its attention to detail. The Edge is a significant enough departure for Cambridge Audio to represent a new beginning, so does the company see the new range as similarly transformative? We’ll take that as a big yes.